Home / Chinese Cuisine / You Ji Jia Chuan Duck Rice – No Yam Rice But Still Passed! You Ji Jia Chuan Duck Rice – No Yam Rice But Still Passed! Do you know that ducks need to live in a group or otherwise they’ll get depressed. Ducks are also one of the very few animals that couldn’t differentiate themselves from others. Meaning if they’re raised with chickens, they’ll think they’re also a chicken. If they’re raised with pigs, then they’ll think they’re also a pig. In our endeavour towards more delicious food, chicken meat becomes rampant in many dishes. Do you think chicken meat is popular because it is really tastier or because it come across as cleaner(because the meat is white)? Or there are other reasons like it is easier to rear? Why are Chicken Feets been eaten in Dim Sum places but not Duck Feets? Well it all could be derived from the fact that they need to slaughter so many chickens until they don’t know what to do with the feet and so they invented this dish called Braised Chicken Feet. Or are you just thinking that Chinese will eat everything that can be eaten? If you’re a big fan of Chicken Feet, have you ever been left wondering what kind of goodness gracious unimaginable things that the pair of chicken feet had been walking on all the chicken’s entire life before it landed on your table to be sucked by you? Well if your toothbrush had dropped into the toilet bowl, you wouldn’t even think twice about chucking it away right? But yet we wouldn’t think twice about eating things like Chicken Feets or Pig Intestines even when we all know what those things were doing before it landed in the cooking pot. Interestingly, ducks can never get cold feet because there are no nerves or blood vessels in their feet. That must be a fortunate thing for ducks since it only means that there is nothing much there to be eaten. Well but I do ponder why things like duck intestines are not eaten widely. Is it because they are not delicious? Or is it because duck itself is suffering from an image problem such that all food inventions were all geared towards chicken instead? What do you guys think? The truth is duck meat can only make your money when it is roasted or braised. Giam Chai Ark or the preserved mustard duck soup is the kind of food you eat at home only and you probably also wouldn’t be happy queuing up for it in a hawker centre right? And for some reasons, Malays don’t eat duck but do eat salted duck eggs. Now that might just be the reason why a roasted duck will cost you $28 while it’s poultry counterpart, chicken will only cost half of it. You Yi Jia Chuan Ya Fan is doing a duck business and from what I heard, they’re quite popular all over the island. I was told they have branches in Bedok Interchange Food Centre and Adam Road Food Centre and a few other places. So by these credentials, I duly went to join the queue at the stall at Prime Mart S-11 food court. 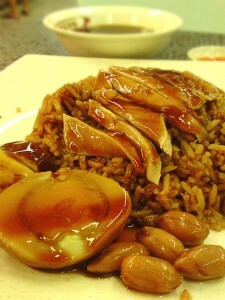 A Braised Duck Rice set starts from $3.30 with duck meat, half an egg and few pieces of tau kwa. The texture of the duck meat was very good though I thought the flavour of the ‘braised’ isn’t strong enough. The winner here got to be the ‘lor’ aka gravy. Was smooth and thicken kind which is how I like my braised duck lor to be. The only setback here is that instead of yam rice, it is actually dark soya rice. For $3.30, it is quite reasonable though it didn’t really hit my umami hard. Not sure what exactly they are famous for but they have many other things like Kway Chap, Duck Noodles, Duck Porridge and even Teo Chew Porridge. Perhaps I need to come back to give it another go with other dishes or if I’m around Bedok area, then the branch at Bedok Interchange Food Centre should beckon. 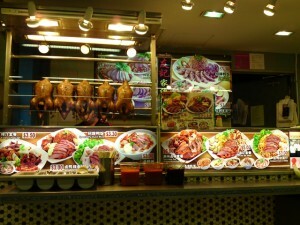 Recommendation: Duck rice, apparently that’s what they’re famous for though they are selling many different things too. Conclusion: Not sure whether the quality is the same at different branches but it does look it’s more popular at Bedok and Adam Road. This is slightly above average though tasted a little ‘factory’. Would be good if yam rice can be served. Chili was good though. Likes: The gravy and duck meat. Dislikes: Rice fragrance no enough. I am disappointed with the service for You Ji at Pioneer Mall food court which makes me think I will not eat You Ji duck rice again. My husband ordered duck porridge for $3 and he requested no peanuts and eggs. We ended having a bowl of plain porridge with lots of black source but just bout 2 thin slices of duck meat minced. I brought the bowl of porridge back to the counter asking for some beancurd, they said no more beancurd, and gave me some dry beancurd instead. Yet! They charged me for another 50cents! Its so unreasonable. NO DOUBT YOU JI DUCK RICE IS GOOD, BUT THE THEY ARE VERY VERY DISHONEST PEOPLE. Let me share my experience just last evening. I bought ONE WHOLE DUCK and paid for $40 (plus 6 pieces of “spare-parts”. To my surprise when I reach home, when I open the so call “two boxes of duck meat” I got a shock of my life. It’s just half the duck that they packed for me with only one drum stick and miserable few pieces of duck meat. $40 is not a small amount, I did took the photos of the “quantity of the duck meat” and I am very sure that it is only half the duck instead of ONE WHOLE DUCK. THIS IS CHEATING….HELP… Can anyone advise WHERE CAN I FEEDBACK TO?